Amazing portrait of something rarely seen with these guys. The detail of this image is stunning, and the fact that you found a singing puffin makes it all the more amazing. Thanks for sharing this with the rest of us. Wonderful - full of detail. Awesome. He seems angry. 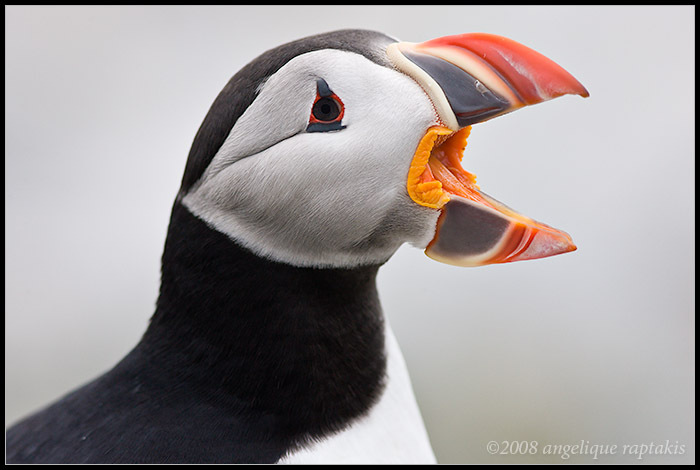 Can puffins be angry? I have always wanted to photograph puffins ...some day I will get the chance,time . "Frankie! Dinner!" LOL awesome catch! !